On The 21st: When it comes to legalizing recreational marijuana, Governor JB Pritzker has made his stance pretty clear, but the legalization process can be complicated. We answer your questions about what Illinois might do about this. Plus, we have some tips for warding off the winter blues. Also, it’s gotten so bad for one particular endangered bee species that the NRDC is suing the federal government. 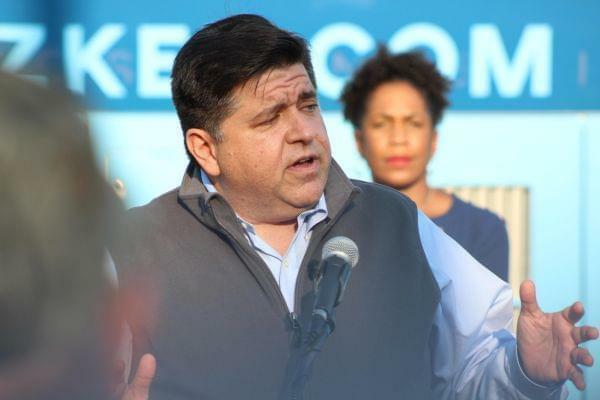 The legalization of marijuana was a big talking point throughout the gubernatorial election, and Governor Pritzker has continued to tout his pro-legalizing stance. But what does that really mean for the state? And how soon could that happen? Dan Linn is one of the people anxious to hear the answers to these questions. He’s the Executive Director for Illinois NORML, or the National Organization for the Reform of Marijuana Laws. He joins us from NPR Illinois in Springfield. We also speak with NPR Illinois reporter Jaclyn Driscoll who has been reporting on marijuana policy in the state. It’s January, it’s cold, it’s wet, and it’s dark. With snow in the forecast again for this week and temperatures in the teens, or lower, it can be easy this time of year to let the winter weather get you down. So, we’ve assembled a team of experts to give their tips on the best ways to beat the winter blues. We're joined by Ami Porter, the executive director of the Quad City Botanical Center in Rock Island, just East of the Iowa/Illinois border. We also speak with Michael Kerrigan, the general manager of Upper Limits Climbing Gym in Bloomington. Plus, we talk to Erik Adams, TV Editor for AV Club. He gives us his recommendations for the best shows to binge watch. We also have some great suggestions on how to cope with the cold from our listeners via Facebook. You’ve probably heard lots of news stories about the decline in population here in Illinois. Important animal species like the rusty patched bumblebee are struggling in numbers, so much so that the Natural Resources Defense Council is taking the federal government to court. They filed a lawsuit earlier this month accusing the Interior Department and the US Fish and Wildlife Service of violating parts of the Endangered Species Act, which could’ve preserved habitats that the bees depend on. Joining us in the studio to tell us more about these bees is Alexandra Harmon-Threatt, a professor at U of I’s department of Entomology. Also, from the NRDC’s nature program in Chicago is legal director Rebecca Riley.